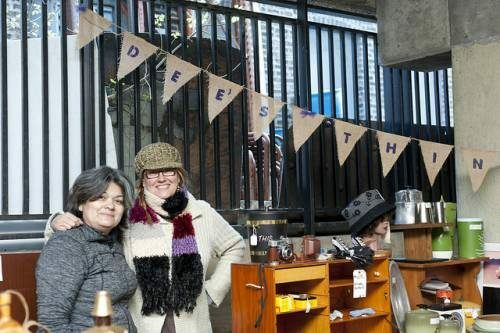 Sandra of Retro Treasures does a variety of flea markets, but you will see her at the Vintage Garage most 3rd Sundays in the summer. 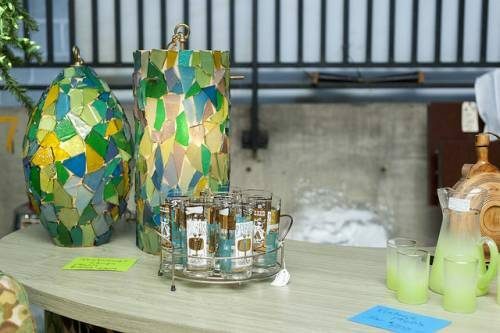 Retro Treasures offers up a mix of vintage home decor: vintage lighting, barware, glassware, kitchen items and obviously, so much more. The Vintage Garage is thrilled to have her all the way from Crown Point, Indiana where we met at the Hunt & Gather Market. Her selection was wonderful and we knew she'd make a perfect addition to the Garage. The Garage doesn't compare to other flea markets in that it's all vintage. We don't have sock, sharpies, mass produced junk. As a gauge, we try to stick with items 25 years or older. Retro Treasures does a fantastic job of bringing in their vintage finds each month. Check her out, first floor on the north wall. You never know what you will find!